Lauri transplanted to Truckee 22 years ago from Washington state and never looked back. Yoga began for Lauri as a physical fitness endeavor, but quickly revealed itself to be much more. Since beginning her practice in 1995, yoga has taught and continues to teach her not just how to handle the external world with more love and patience, but how to navigate the internal world of Mind, Emotion & Energy with more skill, compassion, and grace. The practices of Yoga are expansive and Lauri strives to share them in a practical, accessible way. She believes the true measure of our practice is not what happens on the mat, but how we take that into our lives so that we can turn ordinary days, into extraordinary moments. Lauri will be teaching a Yin Yoga class at RAY 2018. 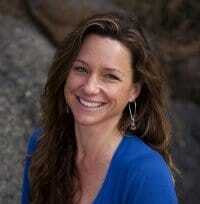 Learn more about Lauri and her practice here. Caffeine. Sugar. Endless to-do lists. The stress of social and family responsibility. The pressure of personal and professional expectations. All of this sets the scene for the push and the rush to pursue the “American Dream” (of course not isolated to America). But for many, this “dream” can begin to take on a nightmarish cast beneath the exhausting weight of a jam-packed life lived at full speed. Anxiety, insomnia, frustration, fatigue, depression and digestive issues are just a snippet of the myriad ways in which our fast-paced world can start to take its toll. In a world that tells us we need to “Do More. Have More. Accomplish More. Be More”, it can be a challenge to believe that what we might really need is a whole lot less, what might serve us and the world best, is to take some time and Just. Stop. Doing. Stop. Get Still. Let Go. Breathe. And this my friends, is why I personally have found Yin Yoga to be one incredible antidote to this wild and crazy planet we are all pinned to by gravity, spinning around the universe at some 67,000 miles per hour. 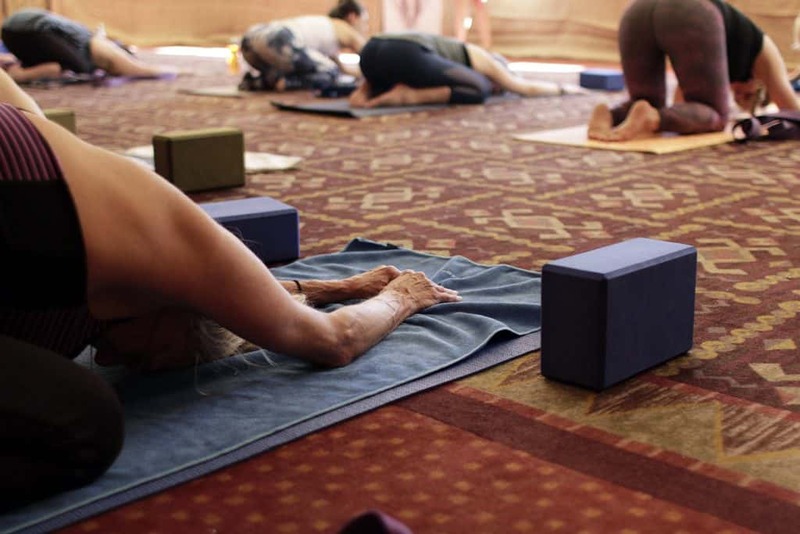 Yin yoga is a gentle, slow moving, meditative style of yoga. It is done primarily on the floor, moving mindfully into simple poses, with the body relaxed (rather than the effortful alignment of an active style pose) often supported by props and then becoming still in the body, steady in the breath, and gently focused in the mind. The poses are held for longer periods of time (3-7minutes usually) in order to allow for this stilling. Imagine a rock dropped in a pond. It takes a bit for the ripples and soil to settle before the pond becomes clear again. Our bodies and especially our minds are similar. Our lives are full of these stones that stir us up and dedicated time is needed to allow all the layers of being to settle so that we can reconnect with the clarity and peace of our true nature. It’s great for beginners and even better for advanced practitioners. 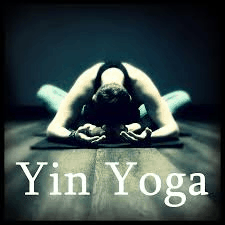 Yin Yoga is a complementary and balancing practice to the way in which most of us practice yoga (and life) which would be described as Yang. And while this article is not intended to explore the origination of the Yin style, I will mention that it arguably evolved as early as asana (yoga poses) evolved, which is thousands of years ago. You may hear the creation of the practice attributed to Paul Grilley or Paulie Zink but by no means did these men “invent” this practice. However, they are the key players in the most recent evolution and for bringing this style of practice to the west and to the forefront of the public eye, as is Sarah Powers. Back to the balancing act. 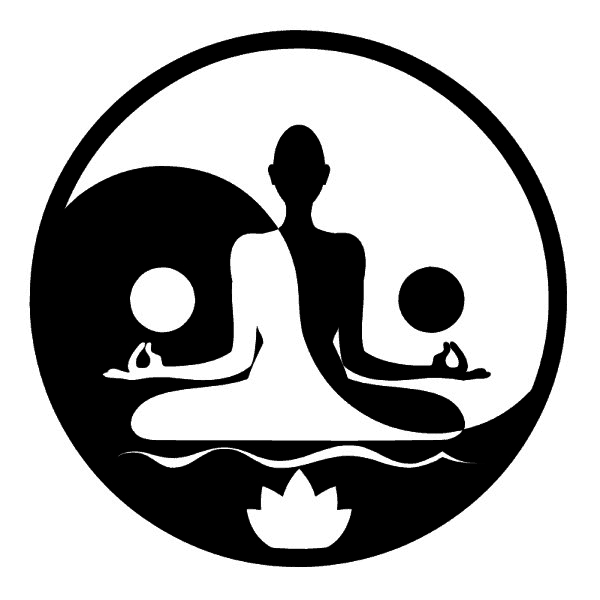 In Yin & Yang theory, we see that pretty much everything in the world has opposing and complementary forces, that they each influence each other, in some ways, define each other and most importantly, balance each other. Such as night and day, hot and cold, wet and dry, soft and hard, north and south, male and female, fast and slow, up and down, stillness and movement and so on and so forth. If we take away one, we throw the other completely off balance. Take away day and we are left in interminable darkness. Remove softness and a heart becomes hard. A world without rain is a thirsty world in permanent drought, which will ultimately perish and along with it, us. And so for our Yang lifestyles which are fast, driven, and active, with information coming in at break-neck speeds, and expectations being piled upon us like a bad game of jenga, we need a complementary opposite to help us find balance. Those of us resistant to the practice of Yin are often the ones who need it most. We can become addicted to the Yang lifestyle, craving more and more intense experiences, more accomplishments, longer runs, faster cars, newer devices, bigger cliffs to huck ourselves off on powder days (Tahoe syndrome;-)). This pursuit is unfortunately never ending. Apple will put out a new iPhone next week, someone will beat your time on Strava tomorrow, and that new Tesla you just bought will be outdated as soon as Elon masterminds the next generation of cars. Yin Yoga gifts us the opportunity to stop our endless pursuit of “more” that leaves us constantly spinning.To tap into the peaceful equanimity that is our essential nature. A space where we need nothing more than our exquisite bodies, exactly as they are, and the rhythmic flow of our own breath. Inhale, soften. Exhale, let go. Of course, as stillness ensues, the mind will likely do what it does and try to convince you there is something you need “To Do”, somewhere you need “To Go”, something you need “To Solve or Fix or Create.” Don’t be fooled. All you need to do is just keep coming back to the present moment, back to your body, back to the gentle pulse of your breath. You are already doing all you need, there is nowhere to go but here, and there is simply nothing to fix because you are already exactly what this world needs. Be kind to yourself and bring a little Yin into your life. Let your own light brighten the night, your heart beat softly with compassion and shower a little more kindness into a world thirsty for love. Learn more about the Restorative Arts and Yoga Festival, June 1-3, 2018 here. Keep in touch! Click here to sign up for our email list, and be the first to know about deals, events, and more! This entry was posted in gutenberg, Uncategorized. Bookmark the permalink.